COURTENAY, BC- A gas leak was reported at a home on Arden Road this afternoon. 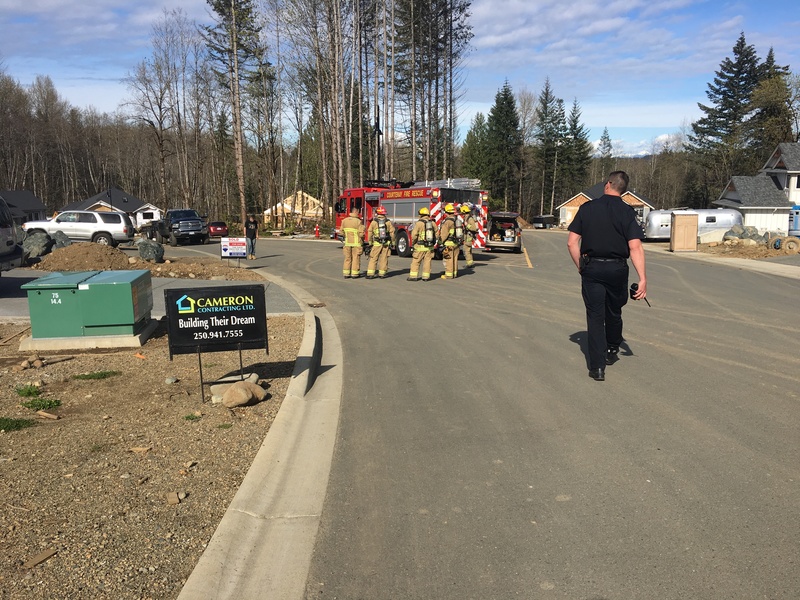 The Courtenay fire department was called to a gas leak that happened during the new construction that was going on around a home, according to Courtenay fire captain Johnathan Welsh. 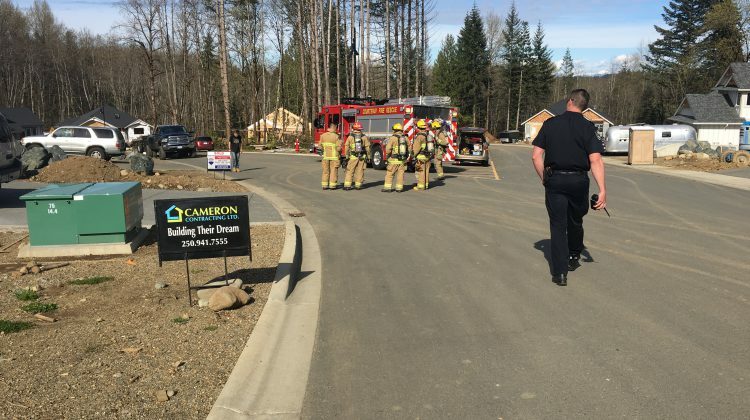 “No injuries or anything like that, a few homes were evacuated just for precautions for the gas leak or anything that might have been in the home.” said Welsh. Welsh added that it is important that residents do their BC ONE call, which will tell you where gas lines are if you plan on digging. “Make sure you understand where the services are before you do any construction around the area.” said Welsh. Residents have since been allowed back in their homes and the area has been cleared by firefighters.